Martina Macpherson is a partner at SI Partners, an independent consulting firm specializing in Climate Risk and ESG / SDG advisory, research, products, investment content, and engagement services – with over 17 years of experience in consulting, asset management, banking and financial services. She is a writer, (academic) lecturer and presenter on sustainable investment and green finance themes and contributes regularly to industry and academic publications. Most recently, she contributed to PLSA’s Guide on Climate Action for Asset Owners, Sustainable Stock Exchanges’ and City of London’s taskforce reports on green finance and policy recommendations. She is now involved in an European Capital Markets Institute (Brussels) working group to define ESG in strategic asset allocation, in the IMF/IIF’s sustainable finance working group (Washington) in the global consultation for the World Benchmarking Alliance (UK, FR, NL, DK) to establish investable SDG benchmarks. Martina is a visiting fellow at Henley Business School and a guest lecturer at University of Zurich. She also teaches and trains industry professionals in sustainable finance, thematic investing, governance and disclosure and regulation (e.g. FCA, UKIFC, CRMP UK, ICAEW, IR Society). In 2014, Martina founded her own ESG strategy consulting firm, SI Partners, and held a range of senior global research, product and business development roles. Most recently, she was head of ESG indices at S&P Dow Jones Indices and led the development of ESG assessments for S&P Global Ratings, the world’s leading credit rating agency. Earlier in her career, she worked on ESG research, analytics and engagement projects for Hermes EOS, MSCI ESG Research and on investment strategy for Lloyds Banking Group/Insight Investment, RBS Asset Management, F&C (BMO) and Deutsche Bank. Martina is Presidentof the Global Network for Sustainable Financial Markets, a former chair of the NED board – and nowadays a mentor – at the Global Thinkers Forum (GTF). 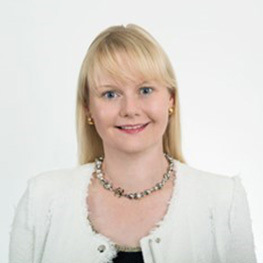 She also sits on UKSIF’s analyst committee board,Sedex’ Advisory Committee, is a member of WE – Women in ETF, and acted as an observer at ICMA – The Green Bond Principles. In addition, she is a member of the Institute of Directors, an affiliate member of ICSA: The Governance Institute and an alumni fellow of the German National Academic Foundation.